A trip to La Rioja is a must for wine lovers. From Hedeso you can get there by car in less than an hour. Many of the wineries offer guided tours (often by appointment) and the area has some beautiful villages and scenery. One of the primary destinations is Laguardia with its beautiful location on top of a hill and its many old wineries, both within and without its ancient walls. A visit to the underground cellars of Bodegas El Fabulista is, in our opinion, one of this enchanting town’s highlights. There are twelve wineries both in and around this, the wine capital of the Rioja Alavesa region. Opening hours: Mon. to Sat: 11:30, 13:00, 17:00 and 19:00 h. Sunday: 11:30 and 1:00 p.m.
Then there is Haro, the capital of the Rioja Alta region. Its 14 wineries, many of international renown, its excellent restaurants and the Batalla de Vino (Wine Battle), which takes place during the town’s fiestas in June, make it well worth a visit. In the centre of the old town near the Plaza de la Paz there is a shop selling a large assortment of Rioja wines to suit all budgets. It also sells many of the local gastronomic specialties and as a bonus it also houses museum. We personally are very fond of Viñedos Ternero, which is the only official Rioja winery in the province of Burgos. It is for this reason, combined with the quality and limited volume of its wines, that we have decided to make it the house wine of our Casa Rural. Our decision was made easier by the fact that it is a small winery set in beautiful surroundings with a pleasant and helpful staff who speak English, which will help many of our guests. All of the Viñedos Ternero winery’s vineyards and facilities are in Burgos province, although if forms an official part of the Rioja Alta region. We can arrange tours and tastings for you. A walk through the grounds of this former monastery, which can be taken without an appointment, will appeal to both lovers of nature and culture. The winery lies two kilometres from the old fortified town of Sajazarra, which is also definitely worth a visit. Of course we can also help arrange visits to many of the other wineries in La Rioja. 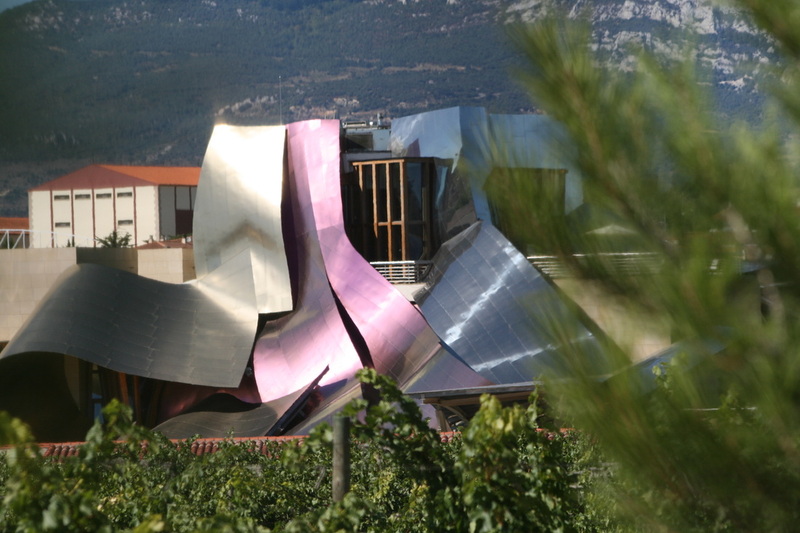 The Bodega Marques de Riscal also hotel, which was designed by Frank O. Gehry, the architect who is also responsible for the Guggenheim Museum in Bilbao. The hotel dominates both the winery and the landscape around the village of Elciego, which is about five kilometres from Languardia. Also in the Rioja Alaves region is Bodegas Ysios, an avant-garde winery complex designed by the Spanish architect Santiago Calatrava. Besides wineries, you can also visit Navarrete, a town famous for its ceramics. Its many potteries produce tableware, jugs, traditional cooking ware, planters and much more, with the speciality being the renowned red fired earthenware. There are at least a dozen of these 'Alfarerias' (potteries) on the road to Burgos, the N120.